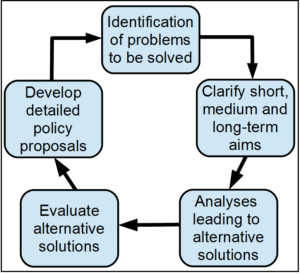 Except for the brief period between the final determination of the manifesto and the election at which it is aimed, policy making is always ‘work in progress’, formally reflecting the work of the Policy Commissions and the National Policy Forum (NPF), but in practice including the continuation of past policy (as with Trident, of which more later) and documents, statements and speeches by the Leader in particular, the shadow chancellor and to a lesser extent others. The recent conference did not develop policy very far, understandably perhaps in view of the referendum and the leadership election, and much of the debate was either about very specific trade union concerns (flexible retirement) or a particular area of policy (mental health). These things are not unimportant, but they were at the expense of what might have been more prolonged debate about Labour’s core economic policies. These areas were of course covered in the debates on Brexit and industrial strategy, as well as those on the NHS, the environment and housing. What is emerging is the outline of a left Keynesian policy, based on substantial public investment, a national investment bank and regional banks, the reform of company law to secure pensions and prevent dividend abuse, a proactive industrial strategy, the promotion of co-operatives and industrial democracy. But although John McDonnell (JMD) started well on this it has not been properly developed, with policy remaining thin and with little direct background support from articles, or papers, although this is true of most other policy areas. Thus it was not clear initially that the £500bn, first floated in the leadership campaign, was for ten years, or why People’s QE was dropped. Yes, it is true that there has been a shift away from the balanced budget/Osborne approach among Labour MPs, but this is part of a general recognition of the failure of these policies, not confined to Labour’s ranks and symbolised by the sacking of Osborne. But there are other major areas where so far there has been little focus, including the integration of health and social care, (and within that how residential care is to be paid for), the transfer back of schools to local authority control and tax and welfare reform, although some sound work does appear to have been done in housing, the environment and tax avoidance. And so to the rather strange case of the complete disappearance of the nuclear disarmament debate. It had obviously become clear to the leadership that the trade unions would not allow it, so it was necessary to abandon it to prevent a falling out which could only have benefited the right. But it would have been far better to have been honest about this, rather than, as was the case, just pretend that nothing had happened. The left leadership was presumably asked for its support, but what is surprising, and rather disturbing, is that there was and is little sign of opposition from the grass roots, many of whom must share Jeremy Corbyn’s (JC) views on this, and have otherwise, particularly in the activist core in Momentum, proved themselves vocal on a range of issues. There are, it seems to me, two key areas that must be considered with regard to policy making. Firstly the NPF. For some this was the Blair usurping of democracy and we should abolish it and return to policy making based on conference. It is easy to say this, yet a little thought surely demonstrates that something like the NPF is necessary, although that does not mean that conference should not become more democratic. The problem is not the NPF and its associated procedures, but the determination of the leadership, by all accounts, in the past at least, to secure the policies it wanted, determined elsewhere, rather than treat the NPF as an arena for the equal exchange of ideas. Whether the recently convened NPF makes this change remains to be seen. Secondly, and closely linked, is the question of policy being determined by and coming from the grass roots. However, while we can all, I hope, support JC in wanting ordinary members to have a greater role in policy making, something often not encouraged in the past, we must also recognise that expertise and experience are vital components of policy, and that it is the interaction of bottom up and top down policy offerings that are likely to prove most fruitful. The Your Britain website has been renamed the Labour Policy Forum. Good. But it is still entirely inadequate. It consists of a range of responses to the very thin documents issued by the policy commissions earlier this year, some of them very good, but completely undifferentiated in terms of topic, approach etc. This could easily be done by one or two people. 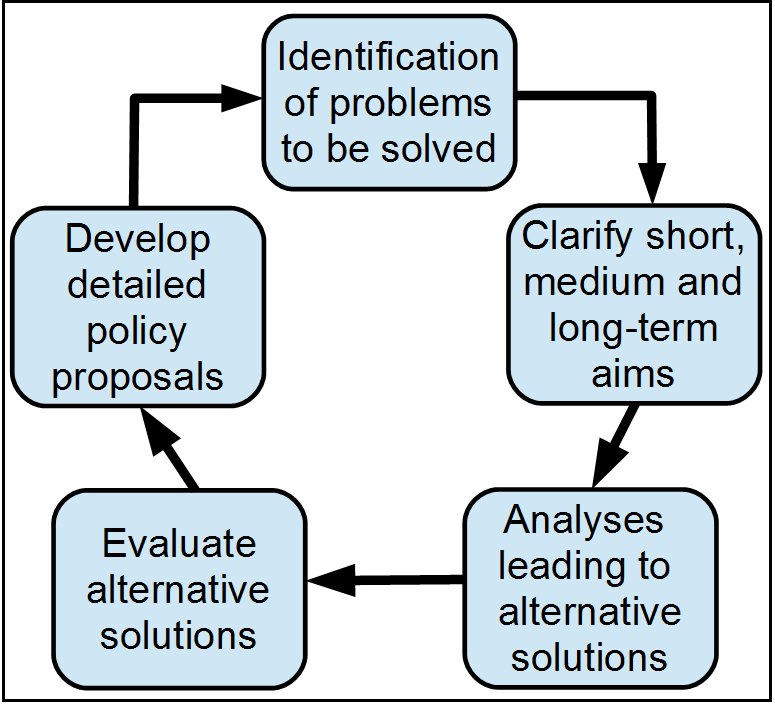 But beyond this what is required are comprehensive documents for each policy area that draw on past policy, current research and argument, highlighting the pros and cons of different approaches. It should be possible to organise sympathetic writers to do this, and to circulate members accordingly, with appropriate summaries, digests, speakers notes etc. Some thing like this is surely the way forward, and is vital if we are to generate a level of debate that will enable us to win the battle of ideas and the next election. I think for true engagement with the whole membership on policy, we need some basic training on annual basis to Labour Party branch officers on the initial policy documents prepared so far: e.g. being able to differentiate between ideas that deal only with production or only deal consumption, as well as ideas that connect production and consumption. Although usually speakers are invited to discuss political and policy discussions in branches, this is not always possible or affordable by individual branches. A tiny bit of training in how best to use any policy documents in branch discussions, could go a long way. The absence of virtually any response to an area which is vital if we are to make progress is depressing. Well, speaking for myself, I thoroughly agreed with your article and didn’t really have anything to add.